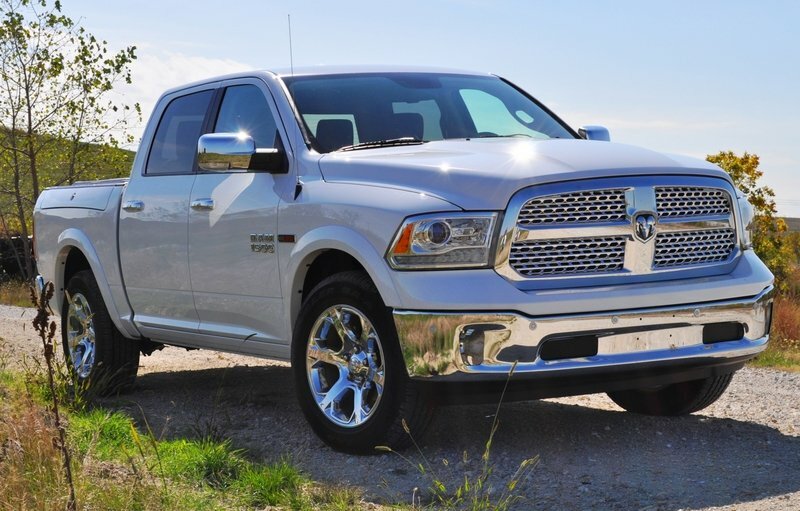 The arrival of a diesel engine in the luxurious and easy-driving 2014 Ram 1500 pickup is huge news. Until this point, diesel engines for all truck lines have been restricted to just 2500 and 3500 models. Ford and Chevy continue without a small diesel engine in their light trucks, and are about to feel the hurt from the new 2014 Ram 1500 EcoDiesel. 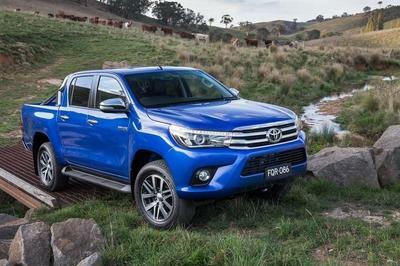 As much as car buyers traditionally loathe the idea of diesel engines, truck buyers adore it. Under the chrome Ram hood, the 3.0-liter, V-6 diesel option even delivered a (momentary) 36 mpg via the standard eight-speed automatic during a light cruise on the test route. But that is not even the best part. The Ram EcoDiesel packs all the benefits of 25-mpg-plus highway efficiency, but none of the typical diesel engine noise or the driving dynamics of an 18-wheeler. 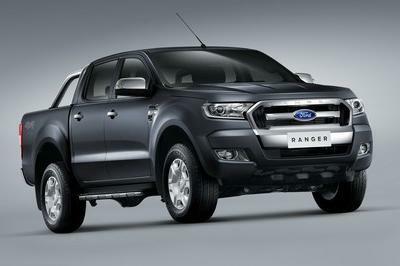 This is a machine whose huge torque reserves and lighter front end join forces to make a smooth, quiet and nimble truck. All that comfort on the air springs front and rear has virtually no major tradeoff in the capabilities tallies versus the F-150 or Silverado. While both of those leading trucks — Ford F-150 and Chevy Silverado — are also quite refined in the drivetrain these days, none offer the absolutely S-Class-rivaling smoothness of the Ram 1500 Laramie over bumps. Un-laden half-ton trucks might have smooth engines, but are still a pitter-patter of suspension clatter in back on good sunny days. On bad snowy or rainy days, that inherent over-sprung feel can become downright treacherous over mid-corner bumps. Jittery and gas-guzzling pickups are starting to feel mighty obsolete in direct comparison to the swanky new Ram EcoDiesel. 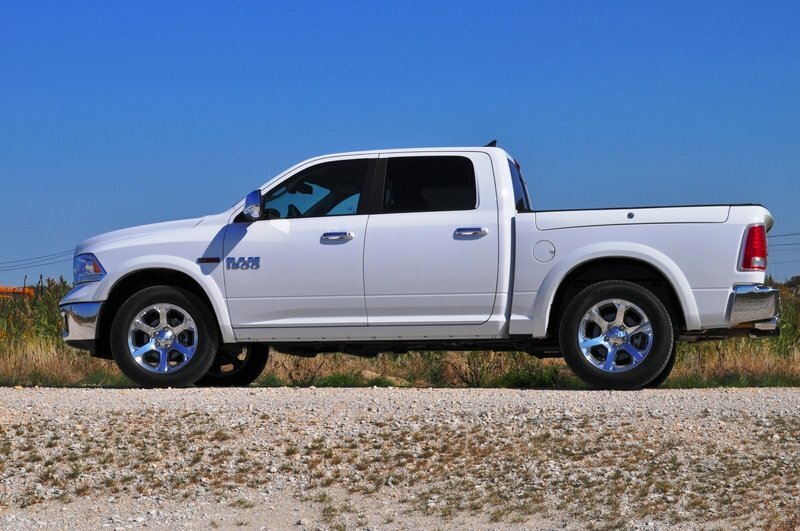 Click past the jump for this exclusive TopSpeed Driven preview of the 2014 Ram 1500 EcoDiesel, which is arriving in showrooms across five trim levels starting in December. No news for the still-fresh nose and lights from the 2013 Ram 1500 redesign. The lights look better than ever, with halogen projectors for the low beams and LED accents for the indicators down below. 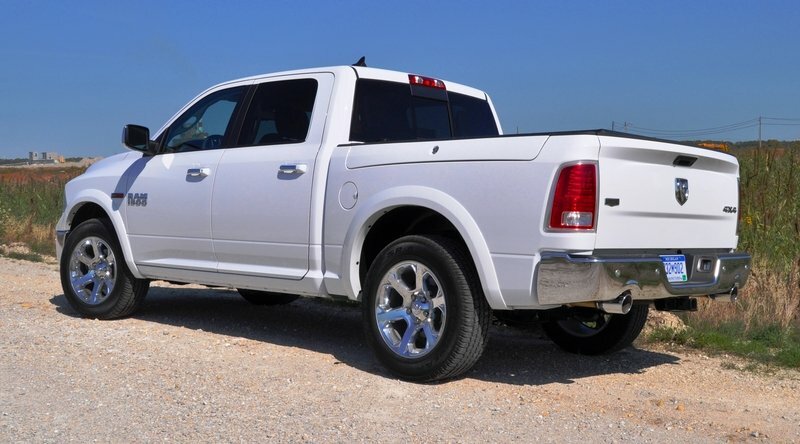 The posh trims, like the Laramie test truck, include a set of vertical reflector fog lamps in the bumper corners, and overall the Ram looks outstanding in white with chrome accents. LED taillights bring up the rear, where the Ram is redesigned but not very noticeably. 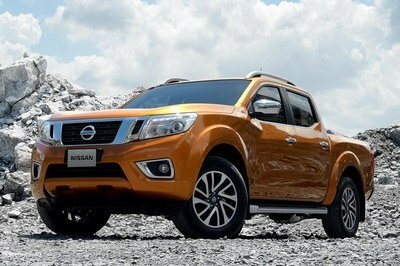 The latest bumper, tailgate and the bed-mounted (now power-locking) Ram Boxes are the biggest clues that this is an all-new model. 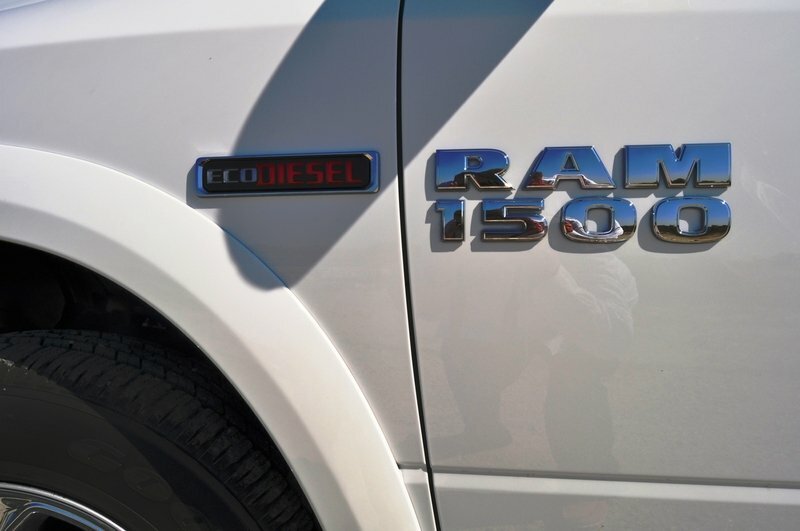 The only change for the EcoDiesel versus the other Ram 1500 models is the prominent new badges on both flanks and the tail. The EcoDiesel tag goes right next to the Ram 1500 icon, solidifying that this is indeed a half-ton diesel. The interior of the Ram 1500 EcoDiesel is by far its most-improved asset in the sales battle versus Ford and Chevy. After stepping right into the Ram EcoDiesel after the 2014 Silverado LT Extended Cab V-6, the differences were pretty remarkable. Granted, the Chevy is a low-price offering versus the loaded Laramie Ram, but the differences are expected to hold true across the other trims as well. Access: Getting inside the latest Ram 1500 models is much easier than the Chevy - and almost not comparable to the very, very tall 2500 Cummins Diesel Ram HD. Easy step-in plops you right into the cozy seat, with the new wheel falling right in hand. Seat, steering column and (available) power-adjustable pedals make getting comfortable a 10-second process. 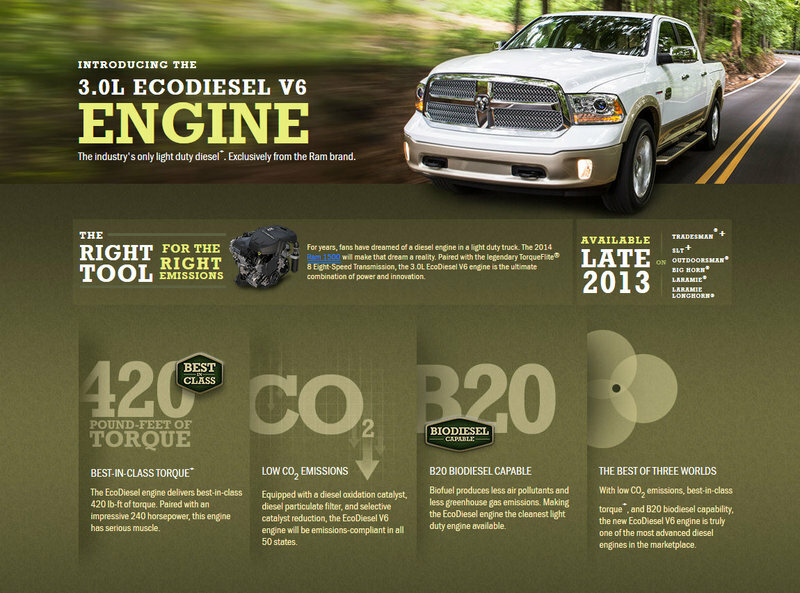 Ease of use: Using the Ram EcoDiesel is a piece of cake. Such a relatively light engine up front versus the Hemi means that the EcoDiesel has one of the lightest and easiest steering setups in the business. Feel is better than the Chevy, which transmits more kickback through the wheel than the Ram. The new knob-selected drivetrain modes are even better than an old-school column shifter. This is a 2-second on/off/park process. Stark contrast versus the confusing new shifter toggles from BMW and others. Comfort and quietness: on the move right after slipping the knob into drive, the Ram EcoDiesel creeps forward absolutely silently. Great control of the throttle makes it easy to start smoothly, but the new diesel’s most impreissive feat is its total refinement. Versus the 2500 Cummins diesel - which is perceptibly noisy and rough - this new V-6 is buttery-smooth as it flicks through the revs. Quick and easy, with no rattle noise. The Ram 1500 EcoDiesel has three big stats in its highlight reel: 420 pound-feet of torque, eight-speed automatic, and 9,200 pounds of towing capacity. Those are almost fightin’ words versus the most-efficient V-6 engines from Ford and Chevy. Very, very impressive tallies. 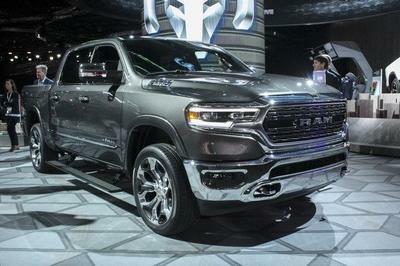 The real highlight for most buyers will be the smooth, quiet operation of the engine while almost doubling the fuel economy stats from the 5.7-liter, V-8 HEMI that is also available on the Ram 1500. Initial estimates are 20 mpg city, and perhaps as high as 27 mpg on the highway. 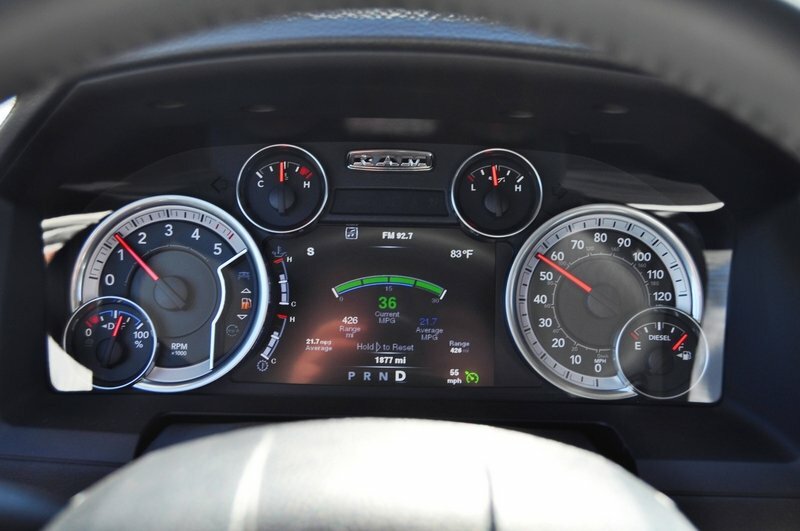 The eight-speed automatic’s low revs at highway speeds are to thank, as is the Ram’s air suspension kneeling to a lower-drag height at highway speeds. The last and most critical bit for conquest sales of previous Ford and Chevy owners? 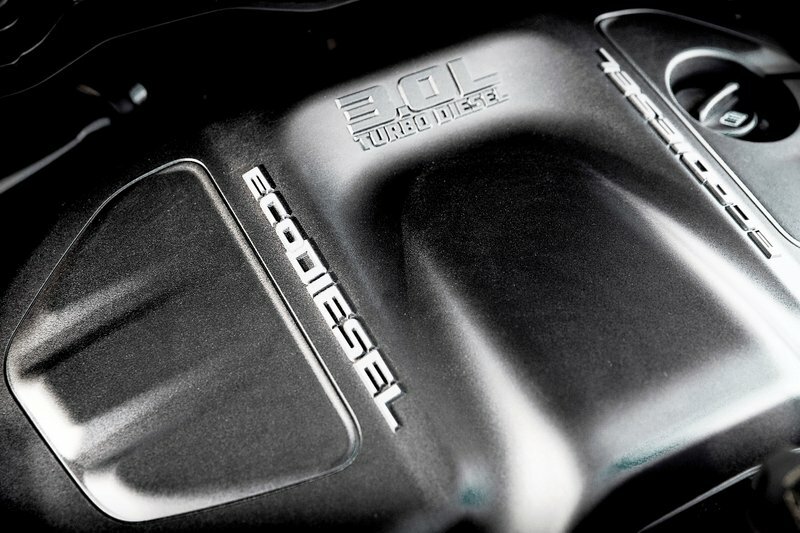 The EcoDiesel is quick and responsive to most acceleration needs. As observed on a similar diesel 3.0-liter, V-6 in the Audi Q7 S-line, there is a momentary hesitation at initial step-off from a stop in both cars. On further consideration, a progressive toe-in is pretty nice versus a jackrabbit electronic throttle, which can make trailer towing, hitching and off-roading very irritating. A smooth progression is overcome easily by a heavier throttle foot. Sprint pace is an estimated 8.5 seconds to 60 mph before topping out at an estimated 108 mph. The pricing for the EcoDiesel engine upgrade is not yet available from Ram, but is expected to split the difference between the base 3.6-liter, V-6 and the upgraded 5.7-liter, HEMI V-8. On the cheapest specification, the 1500 EcoDiesel Tradesman is projected to come in with a $29,500 price. The latest Ram EcoDiesel answers questions that would leave the F-150 and Silverado scratching their heads in confusion. It offers smoothness and ride quality on the air springs to make even luxury cars jealous, and fuel economy to shame most of the Corolla’s out there. 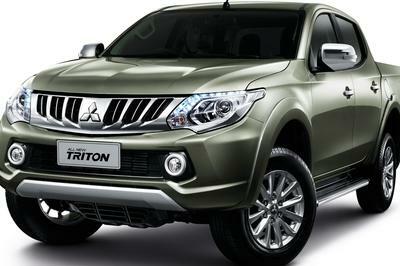 Almost zero tradeoff in performance or truck hauling opens a new door in half-ton luxury pickup luxury and efficiency.